There’s a gap in today’s educational system. Schools teach us many skills that are valuable to contribute to society or our economic system but they fail to teach us how to live meaningful, joyful, and purposeful lives. 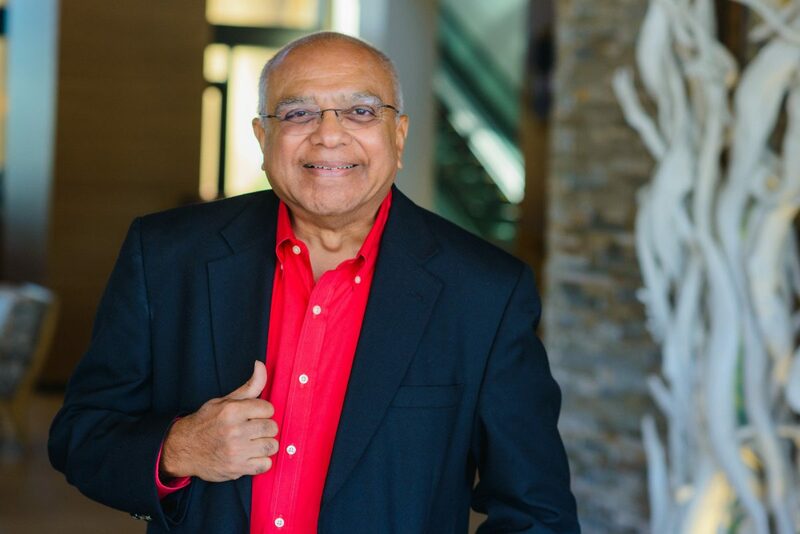 Author, speaker, and former business school professor, Dr. Srikumar Rao, is one of the people that decided to do something about this – and is very successful in doing so. He teaches his students extreme resilience with which, regardless of their actual circumstances in life, happiness is always available to them. Always. In fact, happiness is our natural state of being and we have learned to be unhappy. But there is a way to rid ourselves of these unwanted lessons and Srikumar Rao has taken on the mission to make that happen. And to help people live their lives with a deep sense of purpose, joy and gratitude. There is unlimited joy in the world. All you have to do is tap into it. In 1994, Dr. Srikumar Rao, Marketing Professor at Long Island University at that time, introduced an entirely new program in academia called Creativity and Personal Mastery (CPM). It was designed to help Business students discover their passion and show them how to live deeply fulfilling lives. Shortly after, his program moved to Columbia Business School and it became a huge success. Due to popular demand even skeptical faculty members, who did not yet understand the value of learning how to live with purpose at a business school, couldn’t deny its value. “Word got around and soon students from Law, International and Public Affairs, Journalism and other schools were applying in droves. Then I started hearing from alumni and from persons unaffiliated with the university. They wanted to know if the course was offered elsewhere or if they could ‘sit in’ on classes,” says Srikumar about the onset of the program. CPM was constantly oversubscribed and soon migrated to London Business School, the Kellogg School of Management at Northwestern University and the Haas School of Business at the University of California at Berkeley. Srikumar was not surprised by the positive receipt of his course. The missing elements in education – programs that are focused on well-being, relationships and purpose – are becoming ever more discernable. Since 2005, the global prevalence of depression has risen by 18%, according to the World Health Organization. And the percentage of people that suffer from stress, anxiety, and addiction is equally alarming. In addition, higher standards of living, as measured over time especially in Western civilization, have not proven to be the determining factor to increased levels of happiness. “There is a greater uncertainty than ever before. There is economic anxiety. There is uncertainty about our relationships and as a result of all of that, people are feeling unsettled”, says Srikumar. And the uncertainty people experience is increasing every day because of globalization, the rapid changes that are happening, and because of technology. What I show people is that even in the midst of change, it is possible for you to retain an even keel. And if the “tsunami” is already happening, and you’re already in the midst of turmoil, Srikumar advises you to wait for it to pass – because it will. Just keep alive until the tsunami goes, and then gradually in bits and pieces build your life back and learn how to surf. When we listen to Srikumar Rao, it becomes evident that we have to unlearn more than we have to learn when it comes to our ability to be resilient and joyful. Resilience is available to us by default. It’s the behavior we all demonstrate when we’re learning how to walk: we all fall down, and initially we cry. But then our mothers or fathers come by and console us, kiss the spot, and make it well. So after awhile we stop crying. We get up and try again. And not one child gives up. “It’s exactly the same in life,” he says. We’re going to fall many, many times. You don’t have to cry. You don’t have to get depressed. That’s part of the journey. Pick yourself up, brush yourself off and keep going. It’s a learnable skill. Dr. Srikumar Rao with his some of his Creativity and Personal Mastery students. Today, Professor Rao offers his teachings privately in New York, London and San Francisco, and at Mindvalley with the Quest for Personal Mastery. And in his programs he invites his students to see that the life they’re living is not real. Our lives are a reality, not the reality. There is nothing outside of ourselves that we “need” in order to be happy. This is the fundamental thinking error most people today engage in. Srikumar shows that we don’t have to stick with this mental framework. We can choose alternative ways of thinking that benefit us more. People don’t need anything. They are happy. Their innate nature is happiness. They have learned to be unhappy and all they have to do is stop learning to be unhappy. Professor Rao’s desire to help others live a life of fulfillment and joy came about at the start of a personal quest. He had undergone what many of us experience in one way or another over the course of our lives: he had been working hard and even became hugely successful, but then stagnated and ended up feeling sorry for himself. However, on some level, Srikumar knew the latter wasn’t true. These great masters completely understood the human predicament and knew what to do about it. They simply spoke in a language of the time and place that they had found themselves in and used examples that were relevant back then. Examples that people in our society today most likely don’t relate to. The thought of creating a course which would help people implement the ideas of the world’s great masters made him come alive. So he took on the mission to make this wisdom applicable to modern times. Initially felt a bit like a fraud; how could he teach others, what he himself had not yet figured out how to do? But he stuck to it confident that everyone would learn together. What I’m very good at is taking the teachings of the world’s great masters and adapting them into exercises that are relevant to people today. Quite possibly you never asked yourself this or pondered it seriously. Srikumar Rao, however, has asked this question of thousands of people on six continents. And the answers fit into a few well-defined categories. They include financial abundance, great relationships, excellent health, relaxing leisure time, good friends, fame and acclaim, a feeling that you matter, power, control over your circumstances and so on. Most us believe with conviction that this is what we want. “You want love and enthusiasm and a sense of purpose. You want to feel good. You want your heart to soar. And you believe that you will feel this way when you ‘get’ the items on your ‘want’ list. You believe that ‘security’ will come from financial abundance, that material things will confer joy, that varied experiences and travel will make you feel cheerful, that a loving partner will help fulfill you. 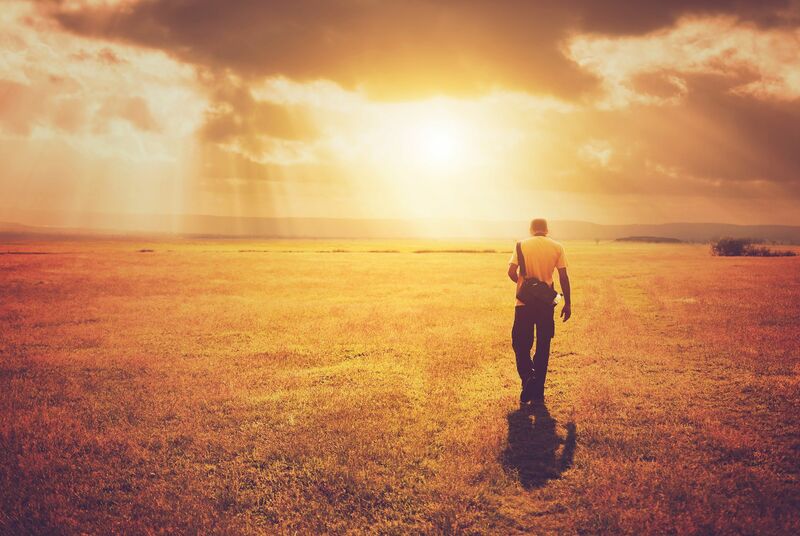 During his years in corporate America, Srikumar Rao found that most people live “a life of quiet desperation.” Even if they’re successful in the way most of society today would ascribe success to someone. Srikumar Rao, however, has a different notion of success than most. Being successful in Srikumar Rao’s eyes, is feeling that you are living a life of service. It’s knowing that what you are doing is bringing some good to a greater community, he says. And you can have tremendous flexibility in defining both the greater good and the greater community. If everyone followed and understood Srikumar’s teachings, we’d all recognize that we are in a spiritual quest, and we’d be actively trying to further ourselves on that. The world would be different, he believes, because people would primarily be interested in being of service. They wouldn’t be going out saying, “Hey, what’s in it for me? How much of it can I grab for myself and to hell with everyone else.” Instead, they would recognize that we’re all in this together. We are all connected. 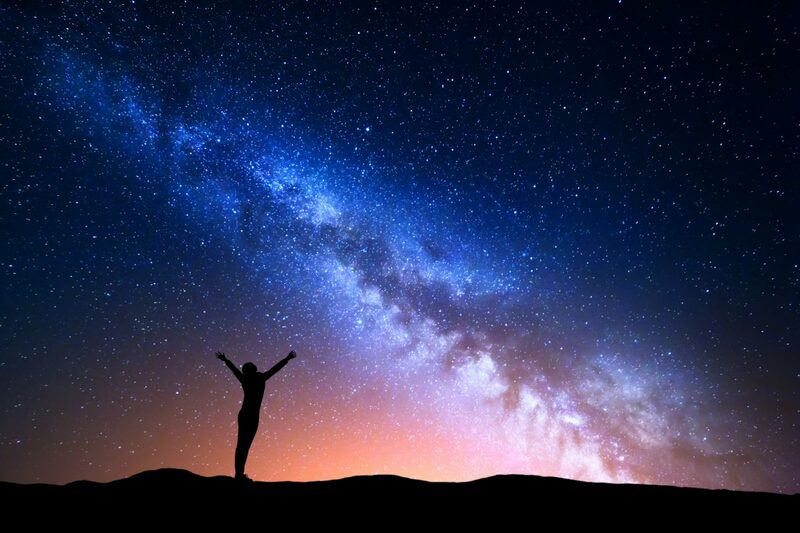 You’re a success if you’ve recognized that you’re doing exactly what you were put on earth to do, you have a deep sense of meaning in all that you do – or the work that you do, and when you get up in the morning and when you go to bed at night you are filled with a deep sense of gratitude. Srikumar Rao teaches that rather than focus on what we are getting, we should focus on who we are being. Am I more generous every day? Am I everyday more caring, more sharing? Am I everyday more joyous in my life, and am I spreading the joy to more people? I think that success is who you are. So don’t think in terms of, what have I got, think in terms of who have I become? That’s what you should strive for. Too much of our life is lived unconsciously, and that’s the reason most of us have the problems that we do. The most valuable lesson life taught Srikumar Rao himself, is that how we experience life is basically a decision that we make.